The recently released data for U.S. auto sales has led investors to pay attention to various other sectors associated with it. March 2013 sales of 1.47 million units brought the total quarterly sales figure to 3.7 million units, leading to a 7% growth as compared to last year. 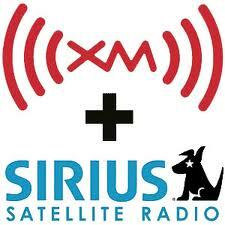 This indicates some optimism for radio service provider, Sirius XM Radio Inc (NASDAQ:SIRI). The growth of this company is closely related to auto sales. Additionally, the boost in the number of subscribers and the company’s initiatives in the service segment for used cars will be other driving forces for the stock this year. 2013 started off with a deal for the company, with Liberty Media Corp (NASDAQ:LMCA) gaining majority control over Sirius XM Radio Inc (NASDAQ:SIRI) through a purchase of 50 million shares. With this move, Liberty Media Corp (NASDAQ:LMCA) now owns 50.7% of Sirius XM Radio Inc (NASDAQ:SIRI)’s outstanding common stock. It all started in 2009, when Liberty Media acquired its initial 40% stake to save the company from bankruptcy. Since then, Sirius XM Radio Inc (NASDAQ:SIRI) has successfully transformed its business with solid subscriber growth. This deal should further strengthen Sirius’s position, as Liberty Media is keen on technology upgrades as well as acquisitions. Over the long-term, both companies should see greater financial synergies. Sirius XM Radio Inc (NASDAQ:SIRI) added more than 2 million subscribers in 2012, pushing its overall subscriber base to 23.9 million. This growth was mainly driven by its new vehicle conversion rate, which was around 44% in the fourth quarter of 2012, and is further expected to be in the range of 44%-46% over the next few years. Over the last few years, the company has expanded its partnership with auto-makers and dealers, which duly supported its subscriber growth. The company aims at doubling its user base in the next five years. Moreover, in the used car segment, Sirius XM Radio Inc (NASDAQ:SIRI) added more than 1 million subscribers in 2012, and is targeting to increase that figure to 1.5 million this year. The used vehicle base is growing at a rapid rate, and will reach around 75 million in the next four years, up from the current level of 35 million. I feel that this segment is another strong opportunity for the company. Telematics is another significant area of growth for Sirius XM, as the concept of connected cars is being widely accepted. In 2012, the auto-based telematics market generated revenue of around $2 billion, and is further expected to grow at a CAGR of 20% in the future. In 2012, the company entered into a deal with Nissan, where it was selected as a complete provider of telematics solutions to Nissan’s vehicles.